Professional installation of your home security system means it is done correctly. A professionally installed wireless home security system won’t affect your current electrical installation and won’t result in unnecessary drilling through walls or countertops. A home automation system can protect your home from fire and carbon monoxide. These systems will alert the monitoring center and emergency services if there is a fire or if poisonous CO gas is detected. Even if you aren’t at home you’ll receive alerts through your smartphone. Home security systems will continue to work even if the power is out. If power lines are cut or a disaster disables the electricity, the alarm system will continue to function and keep you protected. Save energy on your electric bill by having your home automation system monitor and automatically adjust heat and lighting throughout your home. You’ll also find many new uses for your smartphone. You can keep an eye on your home when you’re not there. You can change the temperature and turn on the lights before you even enter a room. A home security system is an efficient and affordable way to find peace of mind. You will never have to wonder if your family is safe. Sleep easy at night knowing if any disaster occurs you will be immediately alerted. Alarm Monitoring Service of Atlanta provides inexpensive home security and home automation systems that create convenience and safety in your life. Protect your home and family while reaping the immeasurable benefits of your wireless security system. Keeping your family safe is your number one priority, even if that family no longer lives with you. Don’t be afraid to share advice with senior family members on how to protect their homes, keep themselves safe, and spot people out to deceive them. Help them stay safe by following these tips for senior citizens. Never hide keys under the doormat or anywhere else outside. Intruders know where to look to find spare keys. To ensure your parent or grandparent can always access their home, install a keypad lock to their front door or leave a key with a trusted neighbor. Monitored alarms are perfect in case of burglary, fire, carbon monoxide, or medical emergency. These features can be especially helpful if your loved one finds themselves in a situation they cannot handle on their own. Home automation provides seniors with easy access to make sure appliances are turned off and allows them to view their security camera feed whenever they wish. It is a good idea to make sure that the locks are working properly on a regular basis. Making certain these access points are secure is always the first line defense. Instruct any seniors to never give personal information over the phone. This includes their credit card number, social security, phone card, or bank account numbers. Many scams claim to need this information and often promise prizes. Warn your loved ones to protect their identity. Automatic locking doorknobs are the perfect gift for that forgetful loved one. Making sure the doors are always locked when they need to be. Try to replace any old doors with solid wood or metal. The frame of the door needs to be especially strong so that it cannot be kicked down. Another option would be to reinforce the current frame. Peepholes are also important as they allow your loved one to see who is outside before they even open the door. Purchase a medical alert bracelet for your parent or grandparent. Slip and fall incidences are one of the most common types of household accidents. For someone who is unable to recover from such an accident on their own, being able to get quickly and conveniently in touch with a trained emergency operator is imperative. Install motion sensor lighting around the property of their home. This is a great way to alert them when someone is outside and helps protect against vandalism as well. Many seniors install home security systems in their Atlanta homes to keep them safe. Share these basic home security tips with your loved ones and inform them how they can stay safe from scams or other people trying to take advantage of them. Nowadays, everyone shops online. It’s the best way to get that perfect gift at the perfect price. But it’s always nerve-wracking knowing your deliveries may be dropped off when you aren’t home. This year stay ahead of your packages and make sure they get under your tree safely. In Atlanta, wireless security systems are the number one defense against theft. A thief will think twice before targeting a home with a security system. Post security system signs to discourage thieves and send them on their way. Outdoor cameras allow you to view camera feed anytime and inform you as soon as your package has been delivered. You’ll know exactly who delivered your packages and if anyone tampered with them. Visible cameras will also dissuade thieves from stealing any packages, keeping all your holiday gifts safe. Request that packages only be delivered if someone is home to sign for them. This is an option FedEx and UPS offer to their customers. The packages are never left outside and no one is given the chance to steal them. When you pick up your items from the post office, a valid ID is required. No one else will have access to your package. UPS and FedEx offer similar services. Contact their Customer Service departments for more information on holding your package at a designated facility for pick-up. Consider changing your delivery address to your work address. This way the package is given directly to you. UPS, FedEx, and the United States Postal Service all deliver to business addresses during their business hours, and unless your workplace strictly forbids it, you should be able to receive your packages during the day. Stolen packages are more than enough to put a damper on the holiday season. Be prepared to receive packages and have a plan to keep your holiday gifts safe. The best way to protect your home is to make sure it’s locked. Even if you’re home. At night, it is essential that you lock all doors and windows so that an intruder cannot use the advantage to enter. The dark can hide all types of suspicious activity, so it’s a good idea to set up exterior lights. Also, making sure your neighbors are turning on their exterior lights at night is a great way to keep the streets safe. As a community, suggest installing motion sensor lights in the backs and sides of your yards to keep them lit up as well. Installing security cameras throughout your neighborhood is a great way to keep suspicious activity to a minimum and allows you to monitor the area in case something does happen. Work with the local police department – they can inform you who has registered cameras around your neighborhood. These cameras could be essential to solving any crime that takes place. A home security system will not only deter intruders from entering your home but will also protect it in case they do. There are many benefits to installing security systems in your neighborhood, and if most of the community does as well, then it will become even safer. Intruders usually do not enter homes marked with a home security sign. AMSA Security Systems even have the capability to alert neighbors of an alarm issued in your home. A great way to keep the neighborhood safe is to make sure everyone in the neighborhood is participating. Contact your neighbors and ask them to join a community watch group. As a group, you can work with the local police force and inform others in the community of any suspicious or criminal activity. Post community watch signs around the neighborhood to help deter any illegal activity. One way to keep an eye on suspicious activity is to go outside. Take walks throughout your neighborhood. Time spent outside helps you keep aware of what’s normal to see in your area and what looks suspect. Work in your yard and allow kids to play outside. 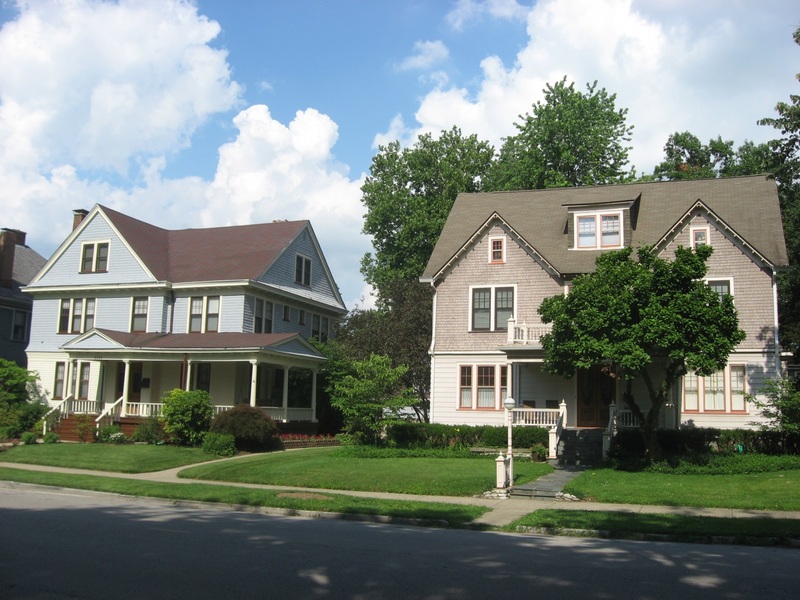 The more often the neighborhood is lively, the less likely crime will take place. Make sure to always keep an eye out for your neighbors’ homes, especially when you know they’re away. Educate your neighbors if they work for long hours to install lighting on timers so that it appears they’re home. You can also try working with your neighbors to install security systems for those who can’t afford them. If there are any abandoned buildings in your area, make sure the local police force keeps watch on these locations. It’s a good idea to contact your local government to keep these buildings from being used for any suspicious or illegal activities. Communicate and feel comfortable with your local law enforcement. Include police in your efforts to keep the neighborhood safe and request for them to drive through the community on a regular basis. Encourage your Atlanta area community to work together and you’ll find your neighborhood a much safer place. Your local government and local authorities can assist you and your neighbors and you can all work to keep the neighborhood safe for everyone. Thanksgiving is right around the corner and you want to provide an amazing dinner for your family. In order to make this holiday the best one yet, make sure you’re staying safe in the kitchen. Wash hands before touching any food to prevent the spread of foodborne illnesses. Do not wash the turkey; this only spreads pathogens onto kitchen surfaces. The only way to fully kill any bacteria is to completely cook the turkey. Keep raw turkey separate from all other food at all times. Cook the turkey until it reaches 165°F internally. Always be sure to use a meat thermometer. If you decide to deep fry your turkey, do it outside to reduce the risk of a fire. Avoid consuming leftovers that have been in the refrigerator for more than 3 to 4 days. Do not store stuffing inside a leftover turkey. Store the stuffing separate from the turkey meat in a refrigerator. Visit FoodSafety for more tips on how to properly prepare a turkey. Ensure that all people involved in cooking are not wearing loose clothing or dangling sleeves. Make sure to stay in the kitchen when any food is frying, grilling, broiling, or baking. Someone should always present. Keep all children away from the cooking area. It is a good idea to enforce a “kid free zone” in the kitchen on Thanksgiving Day. If not, make sure they’re at least 3 feet away from the stove at all times. Keep anything flammable – pot holders, oven mitts, wooden utensils, paper and plastic bags, food packaging, and towels – away from the stove or any other heated appliances. Clean cooking surfaces prevent grease buildup which can lead to dangerous grease fires. Before cooking, make sure that a fire extinguisher is present in the kitchen. Before ending your evening, make sure to check all kitchen appliances to ensure they’re turned off. Install smoke alarms near the kitchen. It’s a good idea to use the test button and check once a month to make sure they’re always working. Visit the American Red Cross for more information on how to keep your kitchen safe on a daily basis. Thanksgiving is meant to be cherished with the ones you love. In order to make sure you have the best meal prepared without any disasters, make sure to follow all basic kitchen safety tips. By taking on the responsibility of cooking, you also take on the responsibility of keeping everyone safe. Want more information on keeping your Atlanta home safe this holiday season? Contact AMSA Security for your home security needs. Carbon monoxide (CO) is a colorless, odorless, tasteless, and poisonous gas created by many common household appliances. About 430 deaths occur annually due to carbon monoxide poisoning. It is essential to have carbon monoxide detectors throughout your home to make sure you’re preventing this common household threat. SafetyEd highlights the importance of having carbon monoxide detectors in your home. Most carbon monoxide detectors offer stability against changing temperatures and humidity in order to avoid false security alarms. This stability enables them to respond specifically to carbon monoxide and not any other common household gases. Carbon monoxide detectors are designed to sound different security alarms for carbon monoxide, low batteries, and end of life warnings. They can even be professionally monitored 24/7 to alert emergency response assistance, for peace of mind and safety if you’re not home or when you’re asleep. It is important to have a carbon monoxide detector in your Atlanta home to protect your family from an otherwise undetectable gas. Always make sure the batteries and the detector are working properly. If the alarm system ever sounds, make sure to open all the windows and doorways in order to air out the house, exit the house, and contact someone immediately. Contact AMSA for more information on professionally monitored carbon monoxide detectors. This fall, take the time to secure your home for the trick or treaters! It is important to take safety seriously on Halloween in order to make it the fun and spooky night it is meant to be. Take action to protect your home and family before this Halloween season. 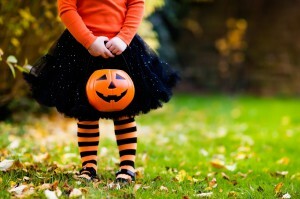 Safewise.com provides 7 Halloween home security tips you can use as a guide. 1. Secure railings on stairs and steps. Ensure that there are no loose screws or anything that would alter the use of the railing that leads up to your front door. Many children will need to use it in order to make the trek safely to your front door. Make sure that your driveway and sidewalk are a clear path to your Halloween treats. Many children are excited and running, so they aren’t fully paying attention to their surroundings. Move your hose and sprinklers out of the way before Halloween night. Also, set your decorations with this in mind so that no unnecessary hazards are created. 3. Avoid using candles or open flames. There are many different alternatives to create a safe jack-o’-lantern without using candles. Lighting a candle inside of a pumpkin is a fire hazard because of how quickly it could spread in the dry air. Using decorations that are artificially lit with batteries is a much safer alternative to give your favorite pumpkin a spooky glow. 4. Choose candy with care. Choose candy to give out with appropriateness in mind. Some young children have a hard time swallowing hard candies, so make sure to avoid any candy that might result in a choking hazard. Also, if you choose candy with peanuts or nuts included, make sure to have options for children with allergies. The Teal Pumpkin Project is a great reference for Halloween treat suggestions for children with allergies. The lights on the exterior of your home should be left on in order to provide enough light for little ghouls to move easily through your yard. This could also protect your home from being vandalized because it appears that someone is home. 6. Keep your pets safe and secure. It is important to keep your pets safe and everyone who is trick or treating safe. A bigger dog has the potential to accidentally knock over a small toddler or run into the street. Keep pets on a leash or in a closed room for Halloween night to ensure everyone’s safety. 7. Consider your Halloween guests. Some trick or treaters start early, and others wait until the moon is out to begin trick or treating. Make sure to use caution in the later evening and make sure the guest ringing the doorbell is a trick or treater and not an intruder. If you walk away from the front door of your home, make sure to keep the door locked so that an intruder has no opportunity to enter while you are not paying attention. Prepare for Halloween with these home security tops and provide a safe and fun evening for everyone in your Atlanta neighborhood. The first thing you should do after discovering a robbery to contact the local police. This is important to create a formal report that gives full detail of what was taken. If possible, supplying the police with serial numbers or photographs of stolen items is very helpful to an investigation. Make sure to follow up on the report often. It is a good idea to place identifying marks on your valuables in order to distinguish them as your property. Engrave your initials onto hard items like wood, plastic, and metal. Permanent marker is also useful for branding your items. Pawn shops pay cash for just about anything of value, and often times thieves attempt to sell your stolen property for money. Checking the local area’s pawn shops is a common way to potentially recover stolen property. If you do happen to discover your stolen property, make sure to alert the police and let them come to the scene to handle the items. This way, you can avoid paying for your own household items. There are apps specifically designs for stolen property recovery. If you create an account and make a record of your belongings, then a database will be able to notify you if your stolen property becomes listed online. One is called Stolen 911, which searches craigslist for your items. Make sure to search an extensive range of the local area and check other common websites. If you happen to find your property online, do not contact the seller directly. Immediately contact the police and let them handle the specific affairs in order to return your property. It is a good idea to keep a detailed record of all of your valuable possessions. This file should include all serial and model numbers so that your property can be identified. If possible, keep photos of the valuables as well and include them in this file, especially any identifiable parts that would make it unique as your property. Make sure to have insurance on your property in order to keep it safe as well. Police departments don’t always have the amount of resources necessary to recover stolen property so it is a great idea to do some safe investigating on your own. This advice was provided by safewise.com and also HomeSecurity.About.com. Prevention, however, is the best first course of action to retain your belongings. Want to secure your Atlanta home? AMSA Security provides home security systems, which are proven to deter potential intruders. Motion sensors are an essential part of home security. These security features are one of the first indicators that an intruder has entered your property and are provided by AMSA Security for Atlanta home security needs. – This type of sensor detects body heat. These are the most common sensors used in home security systems. When a sensor is activated and warms up, it can detect movement based on heat. This creates a protective grid in the system. Once a moving object sets off numerous zones and the infrared energy levels change rapidly, the sensors are tripped off. – This type of sensor sends out microwave pulses and measures the reflection of moving objects. These sensors have the ability to cover a larger area than infrared sensors, but are sometimes interfered with by electrical interferences. – This type of sensor includes passive infrared technology with microwave sensor technology. The combination of security technologies reduces false alarms. One is considered passive, while the other is active. In order to trip off a sensor, both need to be activated. – These sensors emit infrared rays from an LED source. Using the reflection of the rays, the sensor measures the distance from the sensor to the person or object setting off the sensor. – This sensor sends out pulses of ultrasonic waves in order to measure the reflection off moving objects. – This type of sensor detects vibrations. These are a common household sensor that can be purchased at local stores. The sensor uses a small mass on a lever that activates a switch when it senses a vibration. These are a good idea for a security measure, but are known to be unreliable. Motion sensors are one of the most common home security tools and best ways to keep your Atlanta home safe. Check out AMSA’s Atlanta home security services and learn more about our motion sensor offerings combined with our state of the art home security systems. Every season presents new challenges in order to keep your home safe and secured. HealthSafety.com and LovetoKnowSafety.com provide families with advice on how to prepare your home for the fall season. These personal and home security tips for fall will keep your Atlanta home and family safe this upcoming season. Fall is known to be one of the most beautiful seasons of the year with all of the fallen leaves. Except in some instances, fallen leaves can be a visual obstacle while you are driving. Also, always be cautious on wet pavement. It is important to maintain an extended gap between the car in front of you when the road is slick or icy. Prepare yourself with fire safety tips before ever using your fireplace. Ensure the fire stays controlled by using a fireplace screen. It is essential to never leave a burning fire unattended and make sure it is completely smothered when you are finished. Before the temperature drops significantly, make sure you service your furnace. A specialist should inspect the furnace as well to ensure there are no leaks and it will work efficiently in the winter months. This will also reduce your energy costs. Check all smoke and carbon monoxide detectors in your home. Change their batteries and test frequently to ensure they work properly. Another good option is to purchase a fire monitoring system because it can save lives with faster emergency response times and reduce the risk of damages. Use caution with space heaters in your home. Make sure you read the directions prior to using a space heater. Some devices require venting that is properly installed. Always allow at least three feet of open space around the space heater. Create a home emergency kit so that you are prepared in any situation. Keep extra flashlights and batteries readily available. In storm conditions, it is essential to have enough food and water stocked for all members of your household to live for several days. If any of your family members use essential medications, create a week’s supply in storage, just in case. Make sure you dispose of the fallen leaves in your yard and drainage gutters. Also, make sure to move your lawn furniture to a safe location so they will not be damaged in any thunderstorms or hurricanes. A small amount of yard maintenance can prevent damages or clogged sewer drains. Exercise caution while using ladders at all times. The fall season is the perfect time to decorate for Halloween and start hanging Christmas lights, but make sure it a safe activity. Wear proper footwear and make sure the ladder is secured on a flat surface before ascending. Burning leaves produces dangerous and cancer-causing chemicals. If you do decide to dispose of your leaves in this manner, be sure to wear a protective mask. Always move the burn pile to a location far away from your home or any other properties. This should never be attempted in windy conditions, so also make sure to check the weather forecast. Make sure you have access to shovels, ice melt, and ice scrapers. Atlanta snow storms are mild and infrequent, but the lightest snow flurry can become a safety concern so it’s best to prepare in the fall. Enjoy the beautiful fall in Atlanta this year, while still being prepared. There are many different dangers that this season can bring, but with the proper supplies and preparations you can stay safe and comfortable in your home.